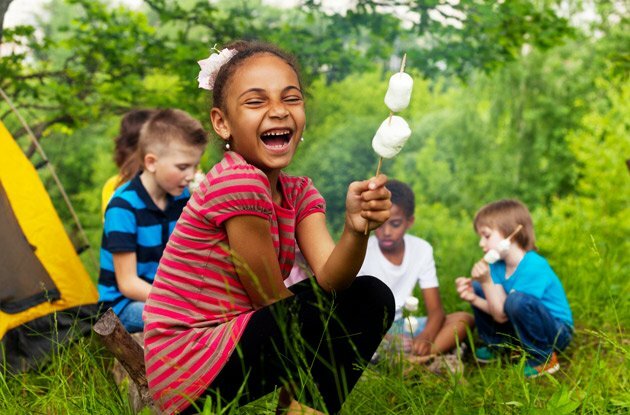 Find a Nassau or Suffolk county summer camp that has before- and after-camp care. 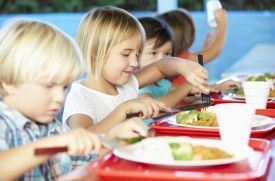 A lot of parents rely on day camps to keep their kids busy and supervised during the summer months when school isn’t in session—especially if the family doesn’t have a dedicated babysitter available five days a week or if their child is too old for a child care or day care center. But some camps’ hours begin after parents need to be at work or end before parents can leave the office. Enter summer camps that offer extended hours for campers! Many camps right here on Long Island offer before- and after-camp hours for just this reason. And we’ve compiled a list of those camps that offer extended hours in Nassau and Suffolk counties, including camps located in Oyster Bay, Old Westbury, Syosset, Manorhaven, New Hyde Park, Huntington Station, Patchogue, Glen Cove, East Hampton, Bay Shore, Holtsville, Brookville, Hicksville, Farmingdale, Patchogue, Mount Sinai, Smithtown, Commack, Medford, Middle Island, and St. James. We offer an extended day program both before camp (from 8-9am) and after camp (from 4-6pm). There is an additional fee for campers to participate in this program. We provide free before-care starting at 7:30am. Morning workshops start at 8am. After-care is available until 5:30pm at a reasonable fee, billed on the quarter hour. Workshops available in afternoons 3:30-4:30pm. We offer before- and after-care from 7:30–9am and 4–6pm. Program includes quality supervisors, special activities and projects, and afternoon snack. Regular camp hours are 9am-1pm or 9am-4pm. Additional hours are available from 6:30am-9am and 4-6pm for an additional fee. Camp before care hours begin at 7:15-9am. We have aftercare until 5:45pm each day. When you register online there is an option to choose this feature. This year our Enrichment Program will be back. Your child may also attend these times if they are in our Enrichment Program. Parents can have their child in Early Care from 7:30-8:30am where campers enjoy playing a sport or creating an art project. Late Care is from 3:30-6pm campers can choose from the Game Room, Computer Lab, Ceramic Room, or camp lounge. All these activities are supervised by staff. At most of our locations you can register for five days of before- or after-care. The times and offerings will vary by location. You must pre-register in extended care and pay for all five days with am care costing $30 per week and pm care costing $65 per week. Early morning care is available between 8:30-9:30am ($25 per day), and aftercare between 3-5pm ($20 per day). Aftercare consists of modified camp activities. Please note this is not available on the last day of any camp. Early morning and aftercare needs to be purchased at time of registration. Working parents can drop off their children at 7:45am and pick-up by 5:45pm for full-day campers. Campers are supervised by our staff and will participate in different activities during before- and after-care. This can be scheduled on a regular basis or whenever necessary at no additional cost. 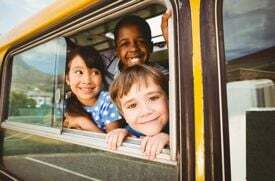 Transportation is included in the cost of camp but we also offer free early morning care starting at 7:30am and after care until 6pm. During these times children will be well supervised and have the opportunity to participate in activities at camp until they are able to be picked up. Camp Rocks runs from 9:30am to 4pm each day. Before- and after-care is available from 8am and until 5:30pm. Advance registration is required for before- and after-care. Ages 7–17, summer weeklong sessions. Day and overnight, more than 150 locations. Off-computer activities including gaming tournaments, sports, board games, and campus excursions. At Kenwal we offer early care and late care at no additional charge! Campers have the option of participating in scheduled activities or just winding down the day with a movie in our air-conditioned dinning hall. Convenient extended hours are available both before and after scheduled camp programming. Before-care hours are from 7-8:30am and after-care hours are from 4:30-6pm. We have before- and after-care available. We are here at 7am and stay till 6pm. No sign-up required, we are here if you need us. At L.I. Voyager’s Day Camp we offer Early Drop-off and Camp Overtime to help to accommodate your schedule. Please contact our director at 516-238-4586 for further arrangements. We offer an "Early-care" and "After-care" service that is available from 8-9:30am before the start of a camp day and from 3:30-6pm. Service is based upon a per hour rate and is only for pre-enrolled children with a minimum of two days per week participation. Early arrival beginning at 8am is available for $45 dollars a week. Late stay until 6pm is also available for an additional $45 a week. To accommodate your schedule, we at Oasis offer early drop off at 8:00am and late stay until 6:00pm for maximum flexibility. Our Summer Comprehensive Workshop is an all day - 8:30-3:30 filled with Ballet Technique classes, Pointe Classes, Tap, Modern, Jazz and more - Audition required. Check website for more information. Call for more information. Working parents can drop-off their children at 7:45am and pick-up by 5:45pm. Campers are supervised by our staff and will participate in different activities during before- and after-care. This can be scheduled on a regular basis or whenever necessary at no additional cost. Early morning, 7:30am-9am and extended afternoon, 4-6pm options are available on a weekly or daily basis. Early morning campers enjoy a snack and participate in supervised games and activities. The extended afternoon option is perfect for campers who choose to enjoy extra time playing tennis, swimming, and team sports activities. Early morning and extended afternoon options are available on a weekly basis. Early morning campers enjoy a snack and participate in supervised games and activities. The extended afternoon option is perfect for campers who choose to enjoy extra time playing tennis and team sports activities. 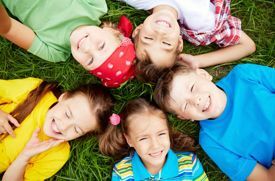 An extended day option is available for preschool camp for those campers who want to spend extra time swimming, playing tennis, team sports, or doing arts and crafts. After-care is an available option. Please contact the club for more information about daily pricing and weekly pricing. After-care is also an available option. Please contact the club for more information about daily pricing and weekly pricing. Before-care and after-care available for a small additional fee for working parents and families that need it. Extended day for children of working parents enrolled in camp is offered between 7:30-8:30am and 4:30-6pm. This must be prepaid and is non-refundable. Extended day is offered at no charge for SYJCC Early Childhood and Kidsplace children. We offer pre-care starting at 8am and after-care up to 6pm. Pre-care and after-care can be set up prior to camp or on an as need basis for an additional fee. The program offers STEAM workshops between June 25 and Aug. 28, 2019 during the day, after camp, and in the evenings. 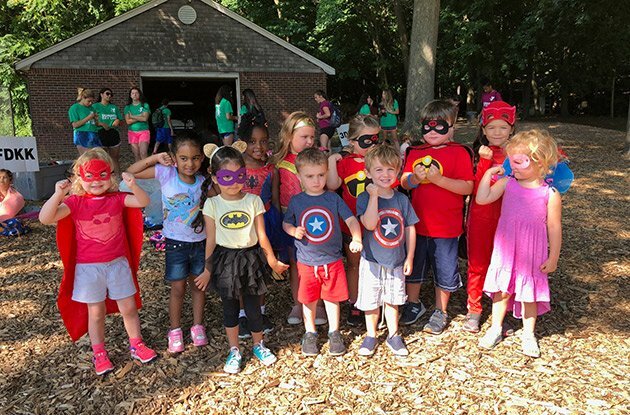 Our Summer Day Camps offer the convenience of extended care in the early morning and late afternoon that simply “extends” the fun that takes place each and every day at the YMCA. Visit:https://ymcali.org/camp?utm_source=LI+Parent+Camp+Guide&utm_medium=Web+Camp+LP&utm_campaign=Camp for more information. We offer early drop off as early as 7am and pick up as late as 5:30pm. Bus service can pick up as early as 6:30am and drop off as late as 6pm.